Holidaymakers hoping to catch a glimpse of some rare tigers in India might have to reconsider their plans as a controversial ban on tiger tourism has been extended until the end of September. India’s Supreme Court has extended the ban of tourists visiting the ‘core areas’ of more than 40 tiger reserves to protect the endangered animals. A number of holiday tour operators have been left in limbo for weeks. However, the peak season for tiger tourism doesn’t start until October when the reserves are free to open their doors to the public once again. The initial ruling came after an environmentalist complained that a number of hotels and shops were being constructed inside the reserves to support the growing tiger tourism industry. However, it’s believed that this could put the animals, of which there are less than 3,200 in the wild, at a greater risk. The Supreme Court suggested it could consider relaxing the ban if the Indian government introduces new guidelines to regulate tiger tourism. 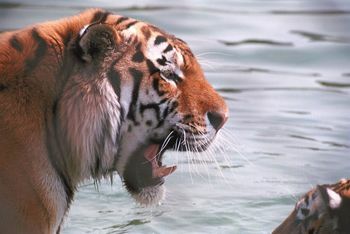 Julian Matthews, the chairman of Travel Operators for Tigers, which is a campaign group for tiger tourism, argues that the presence of holidaymakers protects the creatures and reserves from loggers and poachers. Speaking to The Telegraph, Mr. Matthews said: “The busiest reserves have the best protection due to revenue from tourists.“The problems are outside the park gates, not inside them. If tigers hated the interference for a few hours a day, why are there now so many living and breeding in the tourism zones of reserves like Ranthambore, Bandhavgarh and Pench? “Without tourism you get corruption and neglect instead of accountability, media and political scrutiny, NGO support, and better protection through the eyes and ears of guardians and community stakeholders. Locals and farmers now have an economic reason to protect rather than fear these predators.” Travel insurance would be highly recommended in case of tour cancellations. It could be advisable to ensure that your policy covers you for your holiday activities.